Vapesoon Silicone Rubber Skin is designed for eGo AIO D22. 10 colors available. This rubber skin will not only protect your eGo AIO D22 from scraping, but also give it a new look. Vapesoon Silicone Rubber Skin for Joyetech eGo AIO D22 is a very practical accessory, is designed for JoyeTech eGo AIO D22. This rubber skin will not only protect your D22 from scraping, but also give it a new look.There are 10 color options with good quality silicone. Choose the design you like! • It's for Joyetech eGo AIO D22. very fast delivery. Case fits made is great but unfortunately can't wear it because all the time wciska the switch button wiec unfortunately weak gadget. Fits my EGo AIO perfectly. It was very easy for me to apply, The section over the fire button did suppress the button, so I removed the small square with an exacto knife and issue solved! I bought the red, which is more of a bright orange-red, but I like the color although it wasn’t quite what I was expecting. Very happy with the purchase! 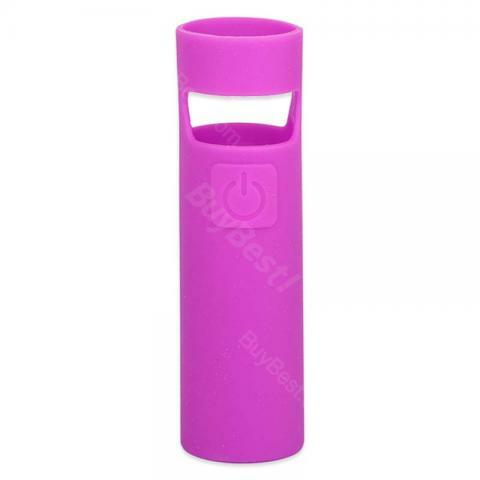 Vapesoon Silicone Case for Joyetech eGo AIO D22 made of silicone for Joyetech eGo AIO D22 Kit, available in different colors.